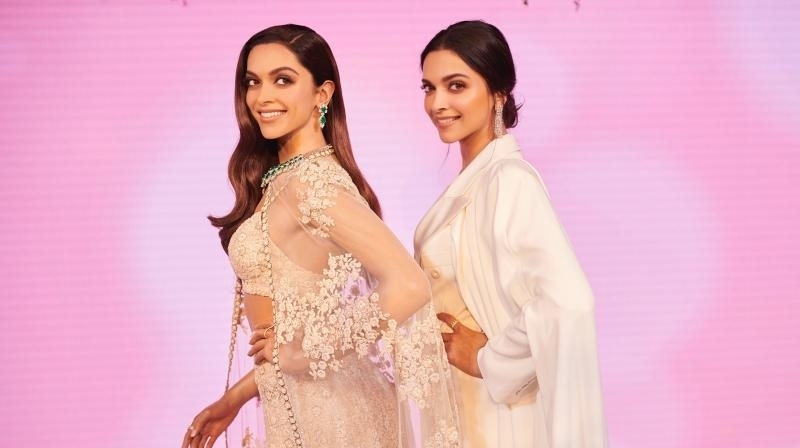 AS ACTRESS Deepika Padukone unveiled her Statue of Purpose at Madame Tussauds in London, her sister Anisha Padukone called it “double trouble”. The actress, who has been an active voice in creating awareness about mental health hasdedicated the Statue toherinitiative, and hence it is named as Statue of Purpose. “As if one of her was not enough. Double trouble, Madame Tussauds, wax statue, London,”Anishacaptionedaphotographthat features Deepika and her wax statue. Apart from giving blockbusters, the actress has createdawareness aboutthe significance of mental health and has been striving to get ridofthestigmarevolvingaroundvariousmental diseases. She also runs a foundation Live Laugh Love to signify mental health at every step. “As a little girl, I was a very curious kid, for me, purpose is something that is very important. However, big or small, whatever I am doing in my life, purpose and why we do whatwedois very importanttome,”Deepika said in a statement. “After I got a call from Madame Tussauds, I thought ‘What is the purpose of this, why are we doing this, or what is it that my fans will remember me for, remember my figure for, whatis itthatI wouldlike toleave behind’, and the cause of mental health is very close tomyheart,itis somethingthatI am extremely passionate about.